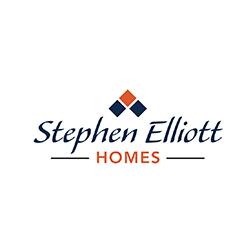 Stephen Elliott Homes is now selling in Durham Lakes from the Mid $200’s. Conveniently located in Fairburn, Durham Lakes Golf & Country Club is just 2.5 miles from Interstate 85. It is a master-planned community set against the backdrop of a premier championship 18-hole golf course (Grand Opening in 2019), two amenity centers featuring a Clubhouse, Basketball Court, Playground, Junior Olympic Pool, Covered Cabana, and Tennis Courts. Located in Fairburn, GA, this community offers convenient access to major thoroughfares, entertainment, Camp Creek Marketplace, and the Atlanta Airport. from the amenities center on Durham Lakes Parkway.